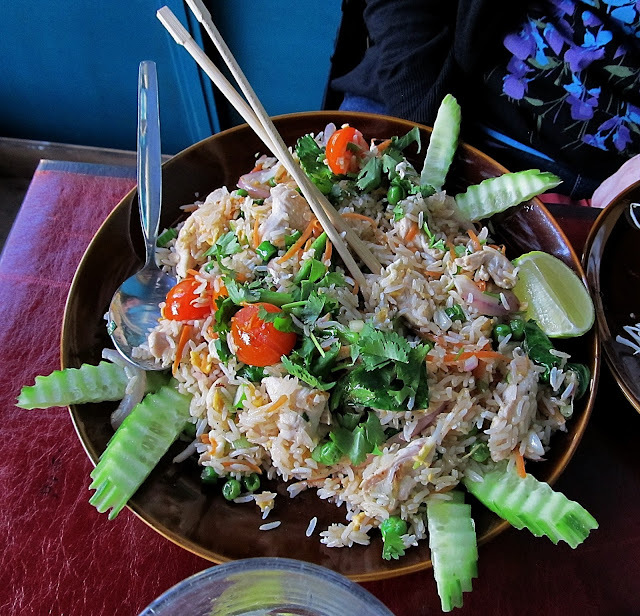 For my birthday we decided to take a break from Greek food and headed to a little Thai restaurant that was just down the street from the apartment we are renting. 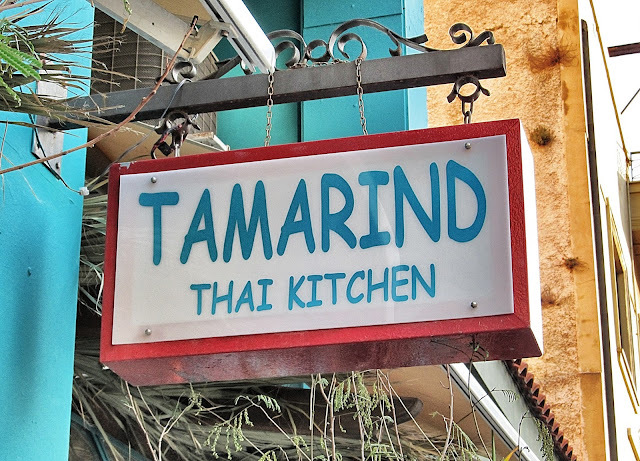 It was called Tamarind which is the name of a legume tree in Africa. Thai food as been special to us since our days in Seattle and enjoying The Thaiger Room restaurant in the U-District. It was the first restaurant we ever ate at in Seattle and we were hoping for something that was just half as good as the dishes we remembered. The food turned out to be just as good and it was a great reminder of past journeys our our current journey. 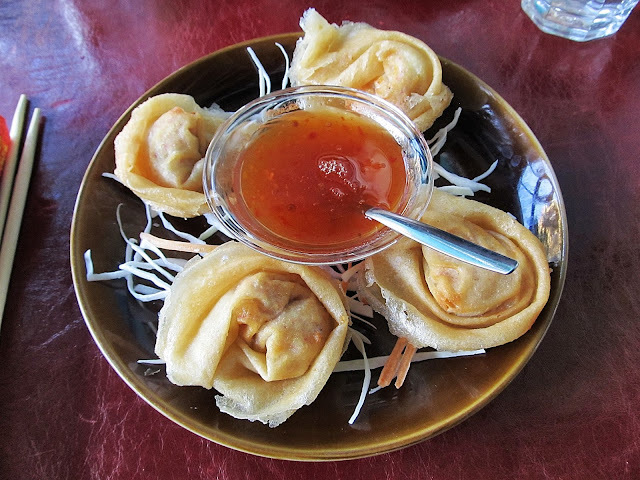 We started with wontons with a great sweet and sour sauce. Laura went with jasmine chicken fried rice. 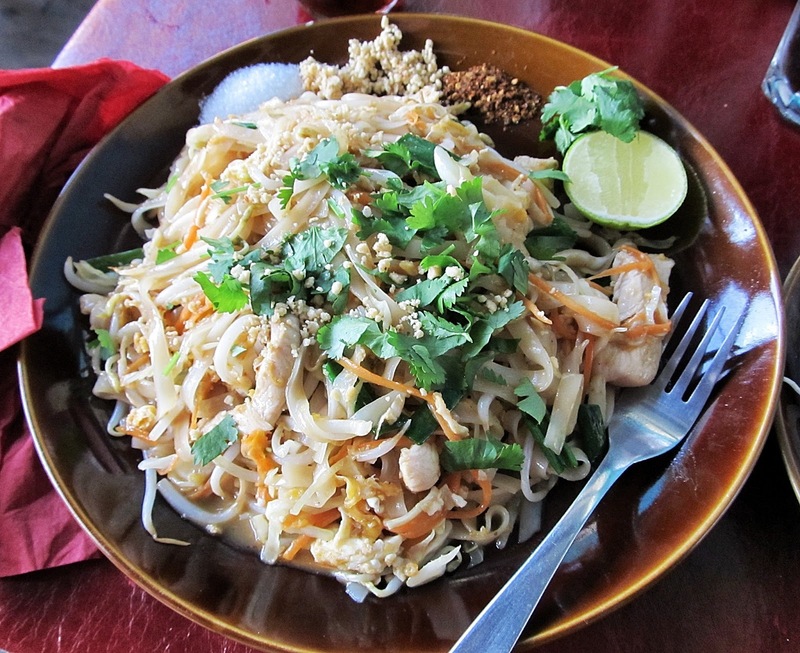 And I went with chicken pad thai. The dish was served with the peanuts, chili powers, and lime separately which I had never seen done before but appreciated. In our time at the restaurant we were the only people in the entire place and so it was a chance to unwind.